Anyone who’s ever been to a Danish birthday party might be surprised to learn there’s hardly any flag-waving on Grundlovsdag, the country’s Constitution Day on June 5. The Norwegians – well, they know how to celebrate. Every May 17 they recall the joy of breaking free from the Danes in 1814 by toasting their national pride with champagne and strawberries for breakfast, joining parades on the streets and cheering “Hip Hip Hurra!”. The Danish way is distinctly drier. The highlight of their Constitution Day is a number of talks held across the country. No flags, no traditional clothes, just discussions about the country’s most pressing political issues. Under focus this year is the refugee crisis and the government’s approach to dealing with it. And just in case any internationals living in Denmark felt they were missing out on all the fun due to the language barrier, this year Radikale are ensuring they can join in by holding an event in English at Revymuseet in Frederiksberg. It will be the first time the Constitution Day speeches have ever been delivered in a language other than Danish. Radikale vice-chair Sophie Carsten Nielsen contends that in the wake of Europe’s biggest immigration crisis in decades, which has resulted in a huge increase in asylum-seekers across the continent, reaching a wider audience is essential when discussing today’s political challenges. “We are receiving new citizens these years – especially refugees,” Nielsen told the Copenhagen Post Weekly. Radikale announced that the current refugee crisis and the party’s response to it will be the event’s main theme. 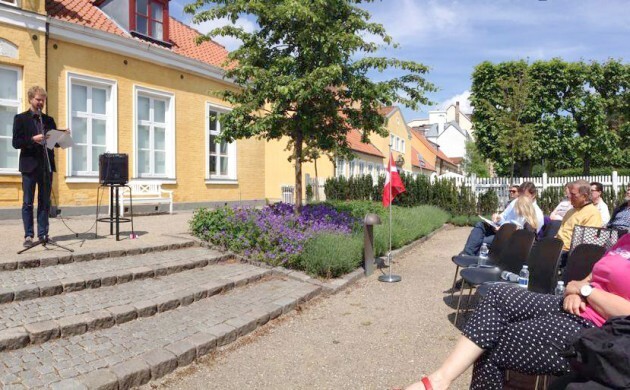 Nielsen is among the confirmed speakers, together with Anders Ladekarl, the general secretary of Red Cross Denmark, Morten Jung, the deputy major of Frederiksberg, and Fadel Juanmiry, a refugee and integration consultant at Solrød Municipality. Nielsen is hoping that the event will mark the beginning of a new tradition “in order to engage more non-Danes in Constitution Day”. Although Danes may not party wildly like the Norwegians on their own Grundlovsdag, June 5 is an extremely important day that serves as a reminder of the very foundations of democracy and the challenges the country is currently facing.